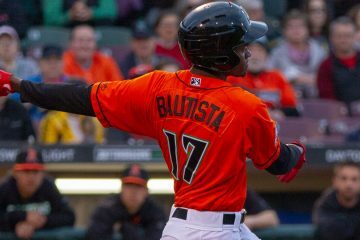 Last week Major League Baseball released the bonus pools for the 2019 Major League Baseball Draft. The Cincinnati Reds will be drafting 7th overall in the first round (and each subsequent round). In the trade with the Yankees this offseason the Reds moved their compensation round pick, so that no longer exists. 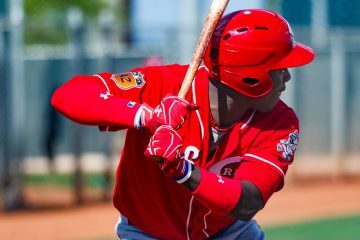 The overall draft bonus pool for the Cincinnati Reds in 2019 will be $9,528,600. That is the amount for their first 10 round picks. After that, any pick that signs for $125,000 or less does not count towards the bonus pool. Any amount signed for beyond $125,000 for an individual player beyond the 10th round does count towards the bonus pool. Teams are allowed to go over their allotment, but there are penalties. If a team spends 0-5% over their allotment they simply pay a 75% tax on the amount they went over by. Beyond that teams begin to lose draft picks AND have to pay a 75% or higher tax. No team has ever gone over the 5% threshold. This is the smallest draft budget that the Cincinnati Reds have had in quite a while. In 2016 and 2017 they drafted 2nd overall, giving them a huge bonus at the top. Last year they drafted 5th overall, but also had a competitive balance pick. Those two things added just over $1M to their pool by comparison to how things compare to the 2019 pool. As every team has done since Major League Baseball implemented the bonus pools, the Reds are likely to use several picks between rounds 6-10 on college seniors and sign them for $2500-7500 and save money there and use it either earlier or later in the draft. 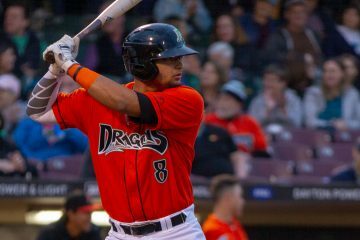 The guys at Fangraphs have updated their 2019 Draft Board this week. There’s not a lot of movement, and only one player in the Top 10 is “up”. Left-handed pitcher Nick Lodolo out of TCU is moving up and now listed at the 6th spot. Kiley McDaniel shared some notes on many of the top prospects in the draft, too. Be sure to go read all of those notes here. At the top spot, and not even remotely in doubt, is Oregon State catcher Adley Rutschman. He’s hitting .426/.580/.842 with 40 walks and 21 strikeouts in 31 games played this season. That’ll work. He’s not going to be available for the Reds to select unless something absolutely wild happens between now and June. Cal first baseman Andrew Vaughn, according to Fangraphs’ McDaniels, is the guy at the #2 spot. He’s hitting .344/.519/.708 with 31 walks and 20 strikeouts in 28 games played for the Bears. Beyond them it’s a little more wide-open in terms of who could be available for the Cincinnati Reds at the #7 spot in the draft. What’s interesting is that there’s only one pitcher in the top 13 spots at Fangraphs, and it’s the rising Nick Lodolo. The left-handed starter has an ERA of 1.52 in 53.1 innings with 10 walks and 68 strikeouts. As the lone pitcher rated this highly, at least as things sit right now, it would be interesting if he made it to the Reds. But he could be an option there. Baseball America published an article on Tuesday about prospects who improved their stock at the National High School Invitational that took place over the weekend. Brennan Malone, a right-handed pitcher out of IMG Academy in Bradenton was one of the guys who showed well and likely improved his stock. He was rated as the 21st best prospect by Fangraphs, and prior to the weekend, the 16th best prospect in the draft at Baseball America. The chances of Bobby Witt Jr making it to #7 seem to be going up. Another prospect with top of the rotation potential would be nice. Lodolo has had a really good year so far. I feel as if the farm has a lot of decent hitters. I posted the 10 guys I was following for the draft a week or so ago in I think the season preview thread for MiLB. A lot of the same guys mentioned above. I could be off and we take someone not in this 10, but these are the guys I’m following closest as I see the most likely picks. Just listened to the MLB Pipeline Podcast and they did a mock top 10, which included everyone on my list except Lodolo (who they discussed going a few different times) and Malone (who they discussed at the Braves pick). 1-8 were all my guys (they had us taking Bishop), then they had Corbin Caroll at 9 and Kameron Misner at 10. I would have hard time with the Reds passing on Witt if he falls to us there. Do you have Bishop ahead of Vaughn because of positional value? I love the upside and tools of Bishop. I have a couple of concerns with him though. His BB:K have never been that great for being drafted that high. He is a lot like India in the sense that he has broke out in a big way his JR season. I don’t mind the pick if they believe in him because his tools are some of the best among the hitters in the draft. Vaughn is a 1B/DH only and while the bat is good, i’m not sure if it’s elite enough to ignore everything else. Bad defender, bad runner, and arm doesn’t matter all that much at 1B. He has power, and the bat is good, just feel better about a guy with far more tools putting it together vs the safer bat with fewer tools. Go college pitcher at #7. Nick Lodolo, LHP, would be ideal, but may not be on the board. RHP Alek Monoah, 6’7″ and 270 is a beast. Lodolo and Monoah both pitch in the Big-12. If Bryson Stott can project as a Major League SS you have to like his bat/plate discipline. He is listed at 6’3″ and 200. So far this year he is hitting .326/.489/.583/1.072, 41 BB’s and 25 K’s. HS RF Riley Greene would be a good choice for the OF if going HS bat. Carroll since reminds me of Trammell tools wise. Misner since has very good tools for a college player. Stott since only IF who could be at the reds Pick. Greene If falls to Reds for a Pure Bat. Carroll won’t have nearly the power that Trammell has. Much smaller player now and the frame is much smaller as well. Trammell is 6’2″ 215 lbs and still a plus runner. Carroll is 5’11” and 160 lbs and likely never gets much over 180-185. Misner has the tools, but he’s been struggling this year. Thanks Duke. I should have been more clear. Carroll and Trammell Hits tool, run tool, arm tool all similar. Power could be the difference though. Small sample size for Misner like all collegiate players. That why so hard to scout. I hear takes about 100-200 ab to get into a groove. College player might only get 200 all year. Hard to tell is all i am saying. Small correction, the Reds will draft 8th in the 2nd round (#49 overall), not 7th because of Boston’s luxury tax penalty. They lose 10 spots on their #33 pick down to #43. Teams with Competitive Balance Round-A picks: 35. Miami, 36. TB, 37. PIT, 38. NYY, 39. MIN, 40. TB, 41. TEX. CB round-A and round-B picks are only draft picks that are allowed to be traded. Reds used to have the #38 pick before trading it to NY. If a team on this list suffers a major injury, the Reds should try to recoup that CB pick. If the Yankees need a starting pitcher, Reds should look to trade maybe Roark for that #38 pick back. TB has 2 CB picks, if they have an injury before the draft, maybe the Reds can match up for one of their picks at #36 or #40. MIN traded their pick last year right before the draft, maybe they do the same this year with CIN. I don’t see the Reds matching up with Miami, PIT, or TEX though. Maybe if TEX needs a starter. But TB, MIN or NYY could be promising. 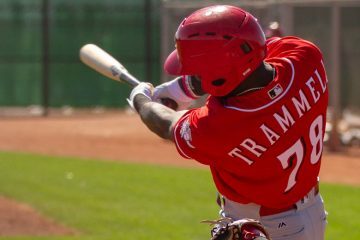 In this draft, that pick might be another Taylor Trammell type. Or the pitching equivalent. Carter Stewart maybe. Thanks for nothing, Red Sox.